Join us for a tasting of our Estate Range at R50/pp for 5 wines, or a tasting of our Short Story Collection at R80 for 5 wines. You can also have a Selection Tasting which includes 2 Estate Range wines, as well as 3 Short Story Collection wines for R65. Should you like to sample our wine and add a cellar tour to your itinerary, the cost is R75/pp (bookings only). For a cellar tour only, the cost is R35. Cellar tours to be booked 24 hours in advance. To ensure availability booking is essential! 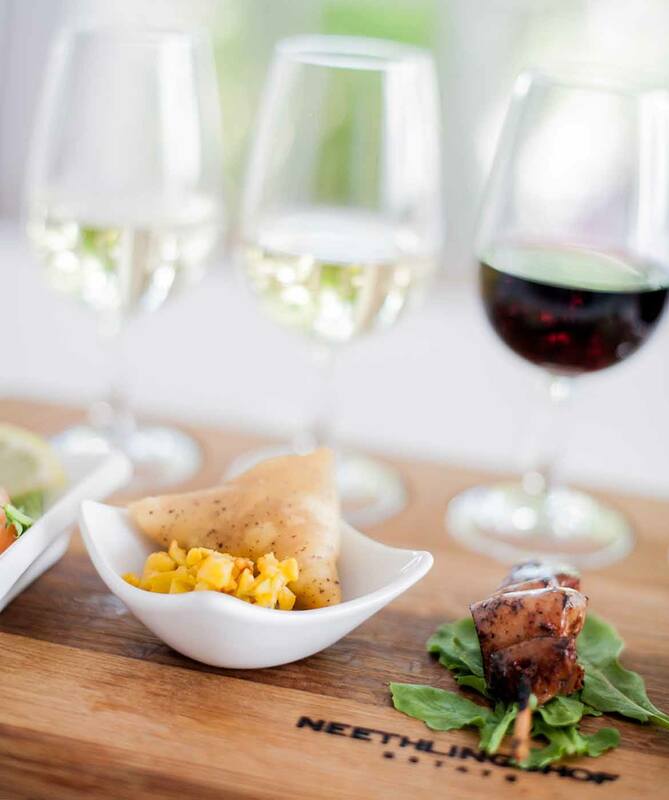 We also offer an accompanying “Kids Pairing” so that the little ones (or non-drinkers) don’t feel left out when you visit Neethlingshof! 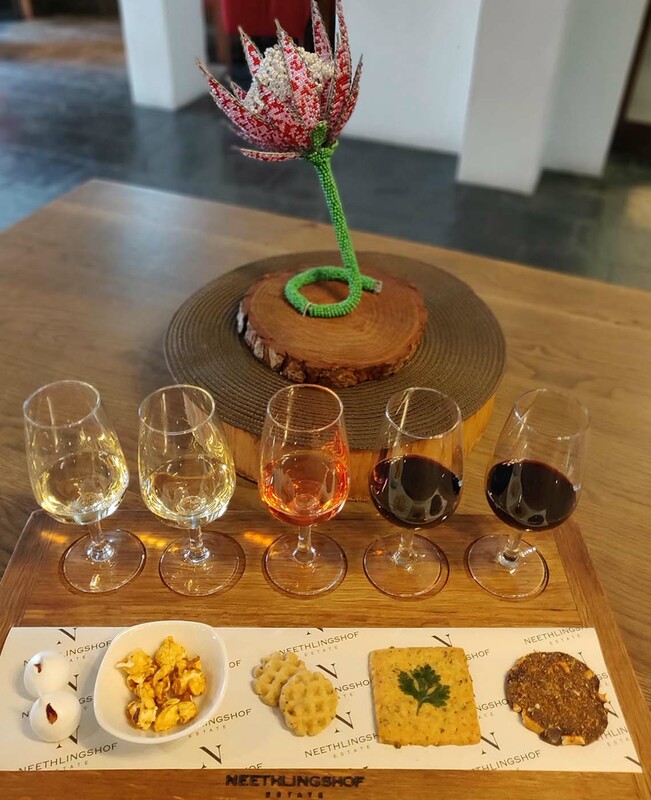 We’ve created a truly unique pairing, Taste & Texture, where the focus is on the texture of the food bites alongside the wine, including Bacon Popcorn, a Rosemary & Mature Cheddar Cheese Biscuit and a Biltong Pretzel. For those of you with a sweet tooth we offer a Chocolate Truffle and Wine Pairing. Contact us if you want to host a special event or children’s birthday party and we’ll make sure you have a special day with us!